A former Inspector General of Police, Solomon Arase, has described as lies claims that 19 assorted vehicles belonging to the Police were recovered from him. He also said that some ‘forces’ were bent on tarnishing his image, and challenged his critics to make public the number plates of the vehicles and where they were recovered from. Arase in a statement signed by him and obtained by THE PUNCH in Abuja on Monday said he would not hesitate to seek legal redress if necessary. Arase said, “It is embarrassing for me to wake up on Monday morning to be inundated with calls and messages on purported 19 vehicles recovered from me. “I wish to reassure the general public that there was nothing like that. I did not take any Police vehicle with me outside of what I am entitled to; and so, there couldn’t have been any vehicle recovered from me. 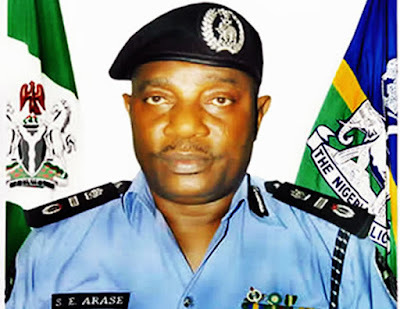 THE PUNCH had reported that following claims by his successor, Ibrahim Idris, in July that he went away with 24 Police vehicles, Arase had refuted the allegation. “I suspect there must be a disconnect somewhere because every information needed by my successor are provided in my hand-over notes. It’s unfortunate that this matter is being made a media issue because my successor has my telephone number and could have called me for any clarification or even sent me a text message rather than addressing the media on an issue well documented in my hand-over notes,” he stated.